When there is a need to forward a message to another individual, we often write a note as a quick and easy option. That way, we can get our message across directly and without ambiguity. A written note can be used for various purposes by people from different trades. But a note is more than just a colorful piece of paper that people stick on their refrigerator doors and desktop screens. That being said, let’s take a deeper look at how an average note is made and used. 1. 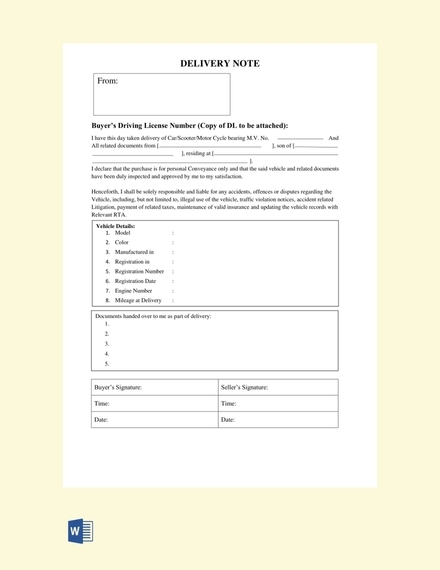 Date: This is a vital element that a note, or any official document in general, must have. 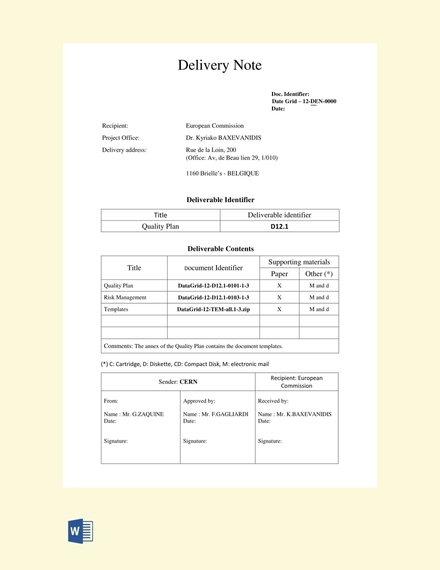 This indicates when the note was written to prove that the recipient is aware of the matter and that the writer was able to issue the note during the said date. 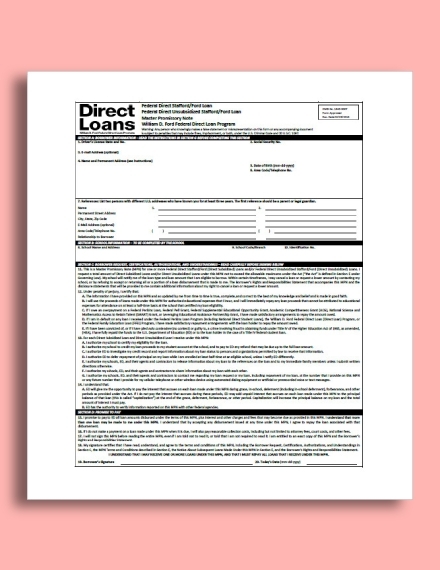 When it comes to loan notes and other similar documents, this may also be used to help track key information with ease. 2. Subject: Let’s say a colleague hands you a note and tells you it’s from the head manager. You’re anxious to read it, but before you jump to conclusions, you decide to read the subject first. This line should clearly specify what the document is for. This is usually emphasized in big and bold letters to make it fully visible even from a distance. 3. Recipient: It’s important to specify the name of the person or department in which the note is meant for. There are cases when a person, who is not responsible for writing the note, will be tasked to deliver the note to a receiving party. 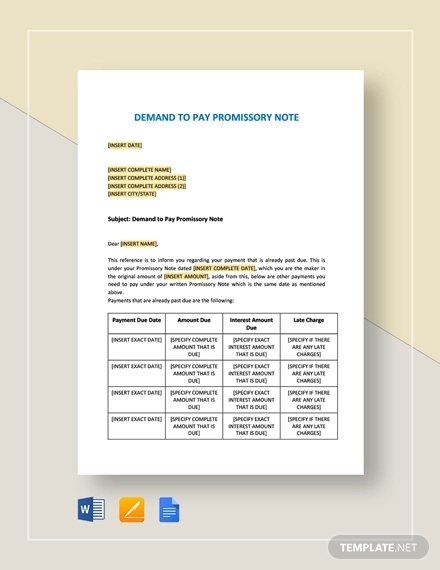 To prevent it from reaching the wrong hands, the note’s receiver must be spelled out clearly and carefully on the note. 4. Content: The body of the note is comprised of supporting details concerning the subject. The length of such may differ depending on the amount of information that needs to be covered. Your message should be expressed briefly and concisely for better comprehension even after only a single read. Writing a note is lot similar to writing a letter. But rather than expressing your thoughts and ideas in a three-part structure, notes allow you to go straight to the main point. Listed below are a few guidelines on how you can create a good note. Define your purpose: What is the note for? Who will it be addressed to? Your answer to these questions will determine what should be included in the body and how your message shall be conveyed. The format and tone used for the note will usually depend on its intended purpose as well. Outline your content: Some notes are lengthier than others. These are the notes that contain critical information about a subject that must be communicated in a clear and professional tone. Because of this, creating an outline by gathering the necessary information beforehand is essential for a smoother delivery. Choose between a typewritten or handwritten note: Some notes are written by hand, while other are printed in ink. But there are also a few that are a combination of both given how some entries may differ from case to case. Using a template for instances like this is highly advised to help you save on time and effort. Include your signature: Whoever receives the note might want to know who it came from. 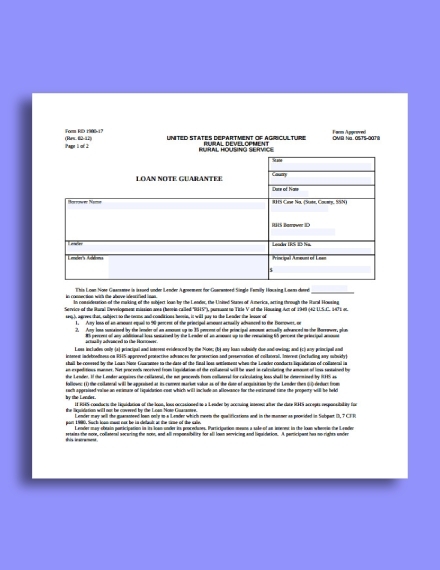 In some situations, a signature may also be required to certify that the note was issued by the authorized individual. Even if the rest of the letter was typewritten, signing the document with a black or blue pen is an absolute must. You can include this at the bottom of the page for everyone to easily find. Keep it readable: Physicians probably have a pass on this one, but for the rest of us, creating a note that is easy to read is extremely important. Apart from writing legibly, make sure to use simple language that the average person can understand. Industry-specific terms and medical jargon should only be included when necessary. Avoid writing word-for-word: You don’t see doctor’s note with a wordy description of a patient’s diagnosis and treatment. Rather, notes are kept short and compact for better understanding. 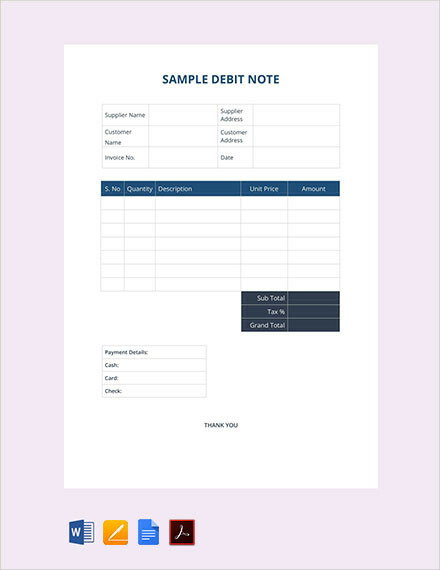 This will make it easier for a reader to process the information being presented in the note. It’s also best to stick with valuable information that might be helpful later on. Use bulleted or numbered lists when needed: A great way to break down a large chunk of information into more manageable parts is to list them in bullets or numbers. This is perfect for relaying a set of instructions, guidelines, and reminders for recipients to refer to. This allows you to summarize your points and ideas into one or two lines as well. Stay organized: This is one tip you should always remember by heart. A cluttered layout will make it difficult for readers to understand what you’re trying to convey. If anything, this will only force them to skim through your note and miss a few points that should have been acknowledged. A clean-cut structure must be observed to help prioritize information and maintain clarity. Use headings and subheadings: There are some notes that require headings and subheadings to categorize data and break up lengthy statements. This will also make it easier for you to find the information you’re looking for when the time calls for it. You can use a bold text or a larger font size to point out these sections. 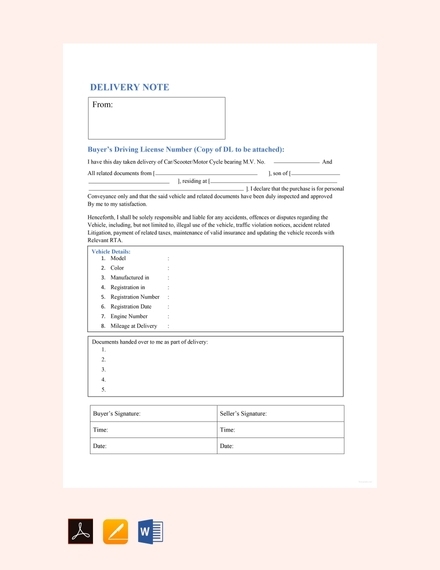 Allocate space for addition details and comments: meeting notes, for example, usually provide a space for employees to jot down reminders and other highlights from the encounter. 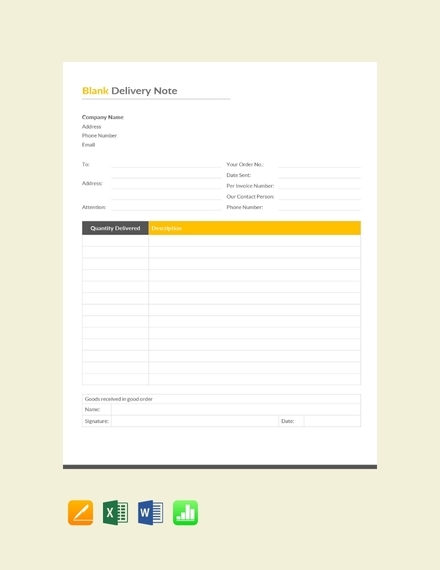 That way, you won’t have to worry about using a separate sheet of paper or packing on one too many words in a single area just to document any add-ons. A note may vary in terms of purpose and content. Though we could easily classify a note as either formal or casual, here’s a breakdown of some of the most widely used notes along with the specific purpose they serve. 1. Medical Notes: These are the type of notes used by healthcare professionals in the medical field. 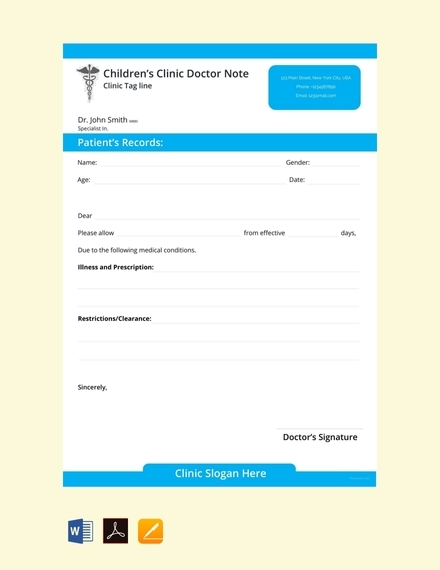 Medical notes are critical in recording and communicating a patient’s current condition and required treatments for other healthcare providers to refer to. But because they are considered to be official documents that carry confidential information about a patient, only the authorized individuals are allowed to issue and access it. 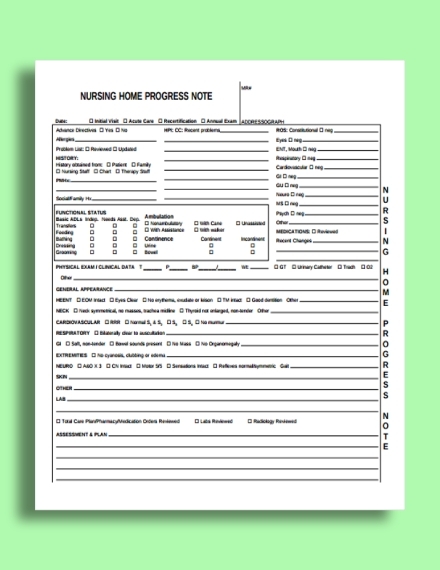 Some examples of medical notes include doctor’s notes and nursing notes. 2. Business Notes: The thing about business notes is that they contain a wide array of information that isn’t specific to a certain field. This means professionals from any industry may use these notes to deliver important business information to an intended audience. 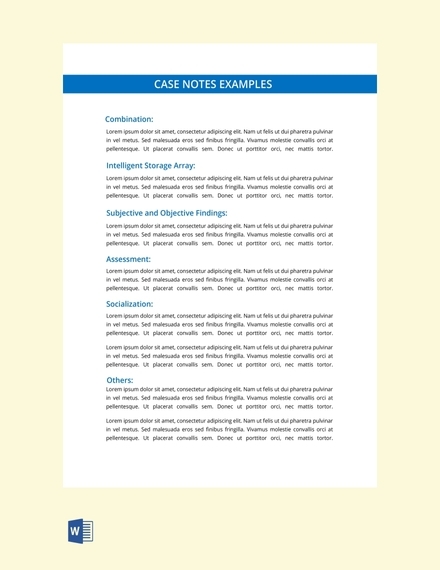 SOAP notes, progress notes, delivery notes, and case notes all fall under this category. 3. School Notes: It’s common for students to take down notes during a lecture. A summary of the topic discussed in class is often reflected in these notes for future reference. Aside from that, excuse notes and promissory notes are also provided by students to school administrators to explain their absence or failure to settle a payment on time. 4. Thank-You Notes: These are notes that perform a personal function as opposed to professional. We often send thank-you note cards to family, friends, and colleagues to express our heartfelt gratitude over a favor or simple act of kindness. These note cards typically possess a friendlier tone and do not follow a standard writing format. You can send these notes to loved ones over the holiday, or to new coworkers as a welcome note. What is the purpose of a note? 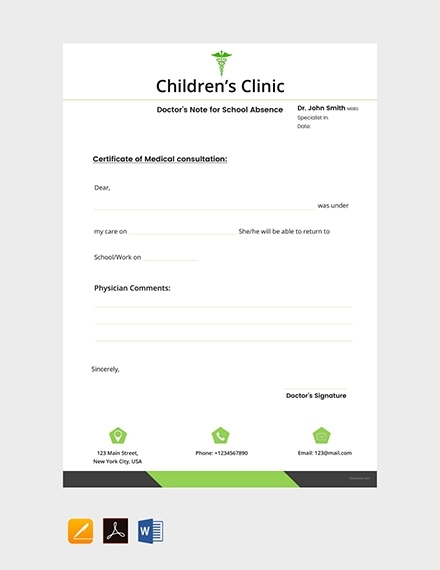 Notes allow us to document and communicate key information about a subject in a clear and concise manner. This is done to replace lengthy paragraphs and wordy documents that make it hard for readers to grasp a material’s main thought. A note may also be used as evidence to prove that an event or action has occurred according to how the subject has claimed. What is the importance of a note? Written communication is crucial in most settings. This ensures clarity and accuracy when relaying information from one party to another. Though a formal letter would do, notes are considered to be a more efficient alternative due to the way they are structured and written. 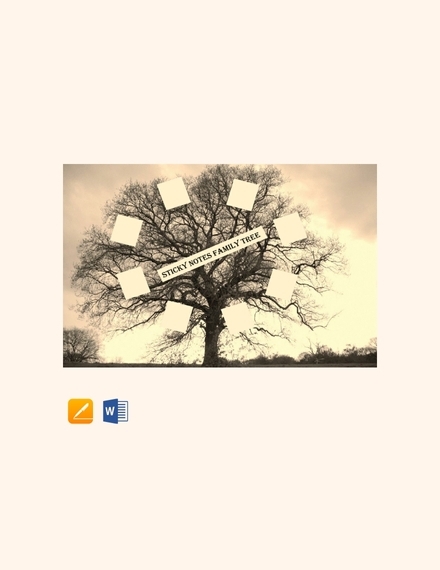 This allows you to get your message across in a conventional yet convenient way. When should a note be sent? Notes are usually kept short and to the point. 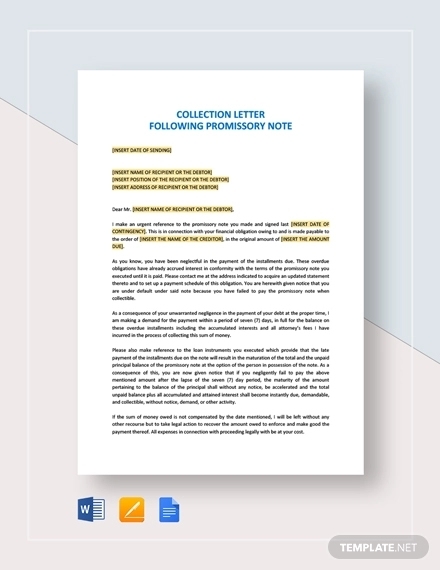 We send notes to forward a message when we are unable to do so in person, to record a case that may be used by another person or entity for reference, or to secure a printed document as proof to settle possible disputes later on. 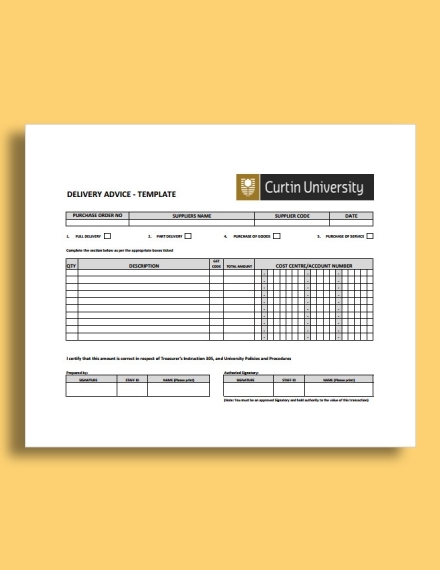 Unless you’re asked to submit a formal report, you can provide a simple note instead. So what are you waiting for? 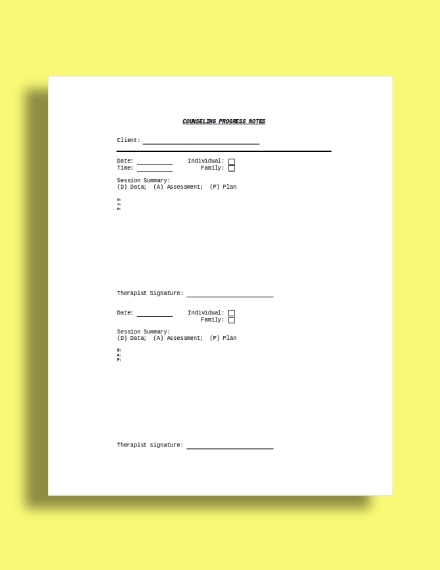 Produce a useful set of notes today with the help of these note templates and examples!